In 1836, when efforts to gain religious independence and solve other disputes with the Mexican government failed, the residents of Texas went to war. The most famous of the ensuing battles? The Alamo — severely outnumbered by Mexican forces, fewer than 200 Texans bravely fought, and lost. But a month later, General Sam Houston engaged Mexican General Santa Anna at the Battle of San Jacinto, one of the bloodiest battles in our history. 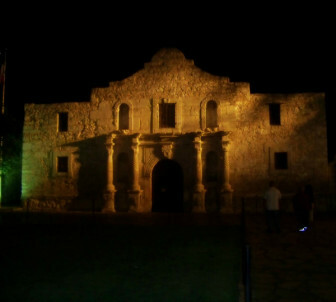 The outraged Texans, surprising the overconfident Mexican leader, led the charge with the battle cry “Remember the Alamo!” securing independence for the territory, and avenging losses suffered at the Alamo. The Spanish mission, one of five established along the San Antonio River, now faces a different, yet no less sinister, threat, along with its sister missions. Saved from destruction by the Daughters of the Republic of Texas, which operated the mission for over 100 years, the site was turned over to Texas’ General Land Office in 2011, and the mission has now been nominated for consideration as a United Nations World Heritage site.In Texas’ biennial legislative session, convening in January, State Senator Donna Campbell introduced her Protect the Alamo Act against, incredibly, opposition to retaining Texas control of the site. The historic mission has become an icon for individual liberty, heroism, and the independent spirit of America for all Americans, but especially Texans who’ve enshrined the site as a sacred place in Lone Star history. Some Texans are wondering where that spirit went as they watch state leadership court the dollars and jobs promised with the UN designation. Remembering a small skirmish preceding the Battle of the Alamo when a small band of Texans challenged Mexico’s demand to relinquish all its guns with the equivalent of “Oh, yeah? Well, come get ‘em!”, one would think all Texans would be wondering, even considering the promises of money. According to the Texas Tribune, “A World Heritage designation would add up to $105 million in additional economic activity to Bexar County [home of the Alamo] by 2025, as well as up to 1,100 jobs and as much as $2.2 million in additional hotel tax revenue, according to a 2013 report by the Harbinger Consulting Group.” But the site is already a renowned landmark, and it’s not as if Texans are hurting for jobs, with a 4.6 percent official unemployment rate. A decision is expected in July. And many are rightly concerned about the unintended consequences of making it a World Heritage Site, such as the loss of property rights, authority over the site, and, well, the absence of any provision in the Texas Constitution to turn over State property to any other agency — not to mention Campbell’s feeling that “anything with U N in it gives me cause for concern. But the sale of the property may be of least concern. Possession is said to be nine-tenths of the law, and the UN will undoubtedly be exercising authority over the area if the designation goes through. Infowars continued, “In 2002, the UNESCO World Heritage Center published a manual entitled ‘Managing Tourism at World Heritage Sites,’ which outlines UN obligations that the historic site managers are expected to follow, stating that ‘the duty of the international community as a whole to cooperate’ in managing World Heritage Sites. The UNESCO constitution also states that UNESCO shall operate as an adjunct of the UN, which claims authority over everything it touches, regardless of statements to the contrary. Conservative and independent Texans are aghast that their supposedly conservative leadership is supporting this measure. Critics say that Patterson, along with others, should be protecting Texas independence along with its property, instead of piecing it off to a supranational agency not known for sticking to its principles. Alarmingly, the decision is being made without the consent of Texans. In an end-run around Texans, the National Park Service, according to The Missions of San Antonio website is “leading the World Heritage application process,” obligating Texans’ time, property rights and money to something over which they have no say. Independent Texans posit that the “wrong message” is that we care what UNESCO thinks. Keep Texas independent, and remember the Alamo.